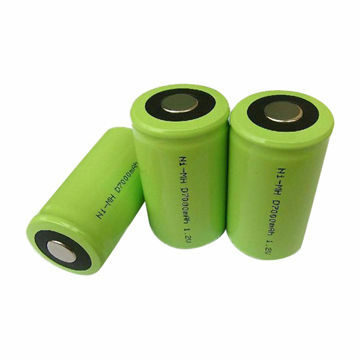 Ni-MH battery is the abbriviation of a nickel-hydride metal battery, alos called NiMH battery. The Ni-MH battery uses a hydrogen-absorbingalloy for the negative and nickel oxyhydroxide (NiOOH) for the positive electrode. Since the year of 2000, Ronda is devoting herself to developing this technology. Currently, we have different sizes A, AA, AAA, SC, C, D, F series, cylindrical type, prismatic type and button cells in construction. For application purposes, we have high capacity Ni-MH battery, low self-discharge battery, High-temperature Ni-MH battery, low temperature Ni-MH battery and high drain rate battery.